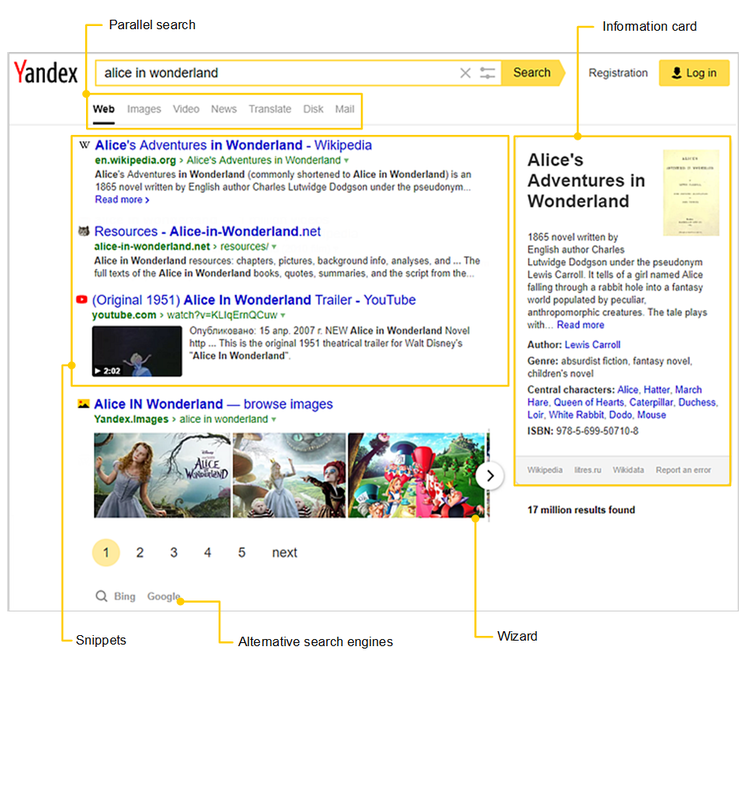 Names of Yandex services for running a parallel search. Links to other search results pages. Links to alternative search engines.